If you're a superyacht owner, it's always summer somewhere, so there's no time to get complacent with skincare. If you've just returned from your Caribbean vacation now is the perfect occasion to wind back the clock and repair the damage the high-summer sun may have caused to your skin: temperatures don't drop too significantly, and the skin isn't having to work too hard to balance moisture levels. Pigmentation, photodamage and the appearance of fine lines are the biggest issues to contend with in terms of visible harm to the skin, but a combination of treatments and ingredients can rectify this fast. There is a common misconception that the end of summer marks the end of your need for UV protection. This isn't the case - an SPF50 shield (worn over your moisturiser) is an absolute must, regardless of season and weather. 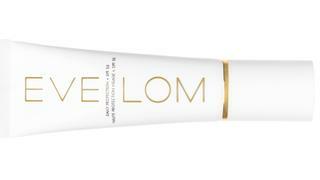 Daily Protection SPF50, £70, Eve Lom at Space N.K. The most immediate issue has to be hydration: hot weather, harsh sun, saltwater and chlorine can all significantly strip the skin of its natural moisture levels. If you haven't used a consistent regime of rehydration throughout the holidays, it is best to opt for a clinical-grade hyalurionic acid (the particles are smaller) now to ensure it penetrates the skin's layers and replaces the water that's been lost. 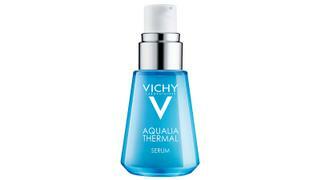 Try Vichy Aqualia Thermal Power Serum with Hyaluronic Acid: the formula is paraben-free and non-acnegenic (ie, it will not clog the pores and cause spots). Taking on major treatments pre-holiday is not a good idea, but it is wise to go for a thorough skin MOT on your return. Pores should be cleaned thoroughly (removing all that clogging sunscreen), followed by a good peel. Pamela Marshall, clinical aesthetician and founder of Mortar and Milk, suggests "a vitamin C peel at appropriate pH and percentage that the skin can take. Sometimes we layer glycolic acid over the top to break up pigmentation and rebuild our depleted collagen and elastin fibres". Afterwards, she recommends a large dose of polyhydroxy acids to hydrate and reduce inflammation. "Size matters", she says, "so ensure your ingredients have a low molecular weight. I use Exuviance and NeoStrata products, as they balance low molecular weight and pH beautifully, without ever harming the barrier function of the skin". Seek out the best ingredients to tackle sun spots, clusters of melanin that discolour the skin. “The most well-researched ingredient to repair sun damage is tretinoin, the acid form of vitamin A,” says Dr Stefanie Williams, dermatologist and medical director of Eudelo. “Tretinoin is not only highly effective for acne, but also remains the gold-standard sun-damage-repair and anti-ageing ingredient.” Marshall also recommends vitamin C and polyhydroxy acids. 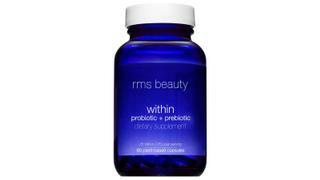 “Vitamin C is a brilliant antioxidant and can help reverse some of the damage. The idea is to send electrons right back to an incomplete molecule, making it complete, and thereby calming the skin after a summer of sun.” Polyhydroxy acids are a less abrasive version of AHA (alpha-hydroxy acids) that will slough away the top layer of dead skin cells, revealing newer skin beneath.